Vissarion Grigoryevich Belinsky (Russian: Виссарио́н Григо́рьевич Бели́нский) (June 11 [O.S. May 30] 1811 – June 7 [O.S. May 26] 1848) was a Russian literary critic of Westernizer persuasion and critic of the Russian government. He was an associate of Alexander Herzen, Mikhail Bakunin (he at one time courted one of his sisters), and other critical intellectuals. Belinsky was an early champion of Nikolai Gogol and Fyodor Dostoevsky. He played one of the key roles in the career of poet and publisher Nikolay Nekrasov and his popular magazine Современник (Sovremennik or The Contemporary). Belinsky was the first prominent literary critic of after the development of the Russian literary language and secular literature in the first half of the nineteenth century. He was an early champion of both Alexander Pushkin and Nikolai Gogol, as well as Fyodor Dostoevsky. Belinsky is best known for his passionate commitment to social justice in an era of arch-conservatism of Tsar Nicholas I. For this reason, he was constantly in danger, and died just before he was to be arrested. He was unlike most of the other Russian intellectuals of the 1830s and 1840s. He was born in Sveaborg, Russia (now Finland), the son of a provincial medical doctor serving with the Baltic fleet. After leaving the service, Belinsky's father settled in Chembar, in the provinces southeast of Moscow. This rural existence was problematic for Belinsky and his family. His father was a free-thinker, out of touch with provincial realities. 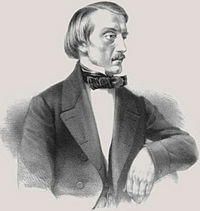 Belinsky left in 1825 to attend gymnasium in Penska, but was expelled. He still managed to enter Moscow University in 1829, from which he was also expelled, possibly for a Romantic drama criticizing serfdom. The play, Dmitry Kalinin, shows the hero facing up to but ultimately defeated by injustice. This play would serve as an emblem for the man that would be known as "Vissarion the furious." It was less for his philosophical skill that Belinsky would be admired and more for emotional commitment and fervor. “For me, to think, to feel, to understand and to suffer are one and the same thing,” he liked to say. This was, of course, true to the Romantic ideal, to the belief that real understanding comes not only from mere thinking (reason), but also from intuitive insight. This combination of thinking and feeling pervaded Belinsky’s life. In 1934, Belinsky would begin his career in journalism, for which he became justly famous, but not necessarily prosperous. Although born in Sveaborg, Vissarion Belinsky was based in St. Petersburg, Russia, where he was a respected critic and editor of two major literary magazines: Отечественные Записки (Notes of the Fatherland), and The Contemporary (also known as "Sovremennik"). In both magazines Belinsky worked with his apprentice Nikolay Nekrasov. Despite his considerable fame, Belinsky was overworked and underpaid. Nearly at the point of penury, Belinsky died of consumption in 1848 at the young age of 37 and on the eve of his arrest by the Tsar's police on account of his political views. As a journalist, Belinsky did not write any systematic treatise. Ideologically, Belinsky shared the central value of most of Westernizer intelligentsia: the notion of the individual self, a personality (lichnost’) which defines the human being, giving them dignity and human rights. With this idea (which he arrived at through a complex intellectual struggle) Belinsky faced the world armed to do intellectual battle with exceptional intellectual and moral passion. He took on much conventional philosophical thinking among educated Russians, including the dry and abstract philosophizing of the German idealists and their Russian followers. In his words, “What is it to me that the Universal exists when the individual personality [lichnost’] is suffering,” or, “The fate of the individual, of the person, is more important than the fate of the whole world.” Also upon this principle, Belinsky constructed an extensive critique of the world around him (especially the Russian one). He bitterly criticized autocracy and serfdom (as “trampling upon everything that is even remotely human and noble”) but also poverty, prostitution, drunkenness, bureaucratic coldness, and cruelty toward the less powerful (including women). Belinsky worked most of his short life as a literary critic. His writings on literature were inseparable from these moral judgments. The reality of Russian political life, which included heavy censorship of all political ideas, meant that social criticism had to be disguised. Belinsky began a trend that many of the nineteenth century social critics would follow, using literary criticism as a means to discuss social and political ideas in what they referred to as Aesopian language. Inspired by these ideas, which led to thinking about radical changes in society’s organization, Belinsky began to call himself a socialist starting in 1841. Among his last great efforts were his move to join Nikolay Nekrasov in the popular magazine The Contemporary (also known as "Sovremennik"), where the two critics established the new literary center of St. Petersburg and Russia. At that time Belinsky published his Literary Review for the Year 1847. In 1848, shortly before his death, Belinsky granted full rights to Nikolay Nekrasov and his magazine, The Contemporary ("Sovremennik"), to publish various articles and other material originally planned for an almanac, to be called the Leviathan. Belinsky was the model for virtually every other Russian literary critic of the second half of the nineteenth century, including Nikolai Chernyshevsky, Dmitri Pisarev and N.K. Dobrolyubov among other. After his death, his works, in twelve volumes, were first published in 1859–1862. Following the expiration of the copyright in 1898, several new editions appeared. The best of these is by S. Vengerov; it is supplied with profuse notes. In 1910, Russia celebrated the centenary of his birth. Belinsky championed the work of many nineteenth century Russian writers. In addition to "discovering" Gogol, he also saw potential greatness if the first work of Dostoevsky—Poor Folk. He was an early supporter of the work of Ivan Turgenev. The two became close friends and Turgenev fondly recalls Belinsky in his book Literary Reminiscences and Autobiographical Fragments. The British writer Isaiah Berlin has a chapter on Belinsky on his 1978 book Russian Thinkers. Berlin's book introduced Belinsky to playwright Tom Stoppard, who included Belinsky as one of the principal characters (along with Alexander Herzen, Mikhail Bakunin and Turgenev) in his trilogy of plays about Russian writers and activists: The Coast of Utopia (2002). This page was last modified on 23 January 2016, at 16:11.